100% apple juice. A wholesome favorite for you and your children. A full serving of fruit in every 5 ounces of juice. No added sugar. 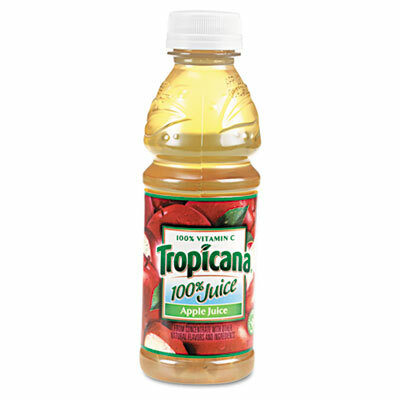 Beverage Type: Fruit Juice; Flavor: Apple; Packing Type: Bottle; Capacity (Weight): 10 oz. Quench your thirst at home, at the office or on the go with your favorite juice. Bottle is easy to store in your desk, lunch bag, business case or backpack, as well as in your refrigerator. A great source of vitamin C. Stock up for refreshing taste at any time of the day or night. 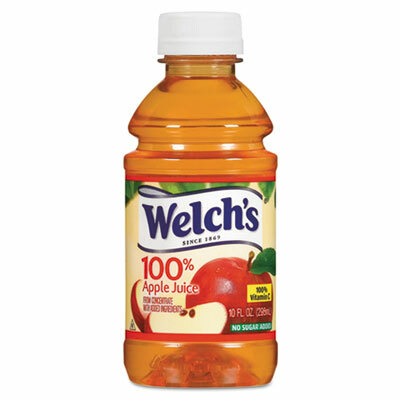 Beverage Type: Juice; Flavor: Apple; Packing Type: Bottle; Capacity (Volume): 10 oz. Choose flavor without having to sacrifice with 100% juice that is 100% tasty. A guilt-free choice with no sugar added. Juices make a flavorful, sweet treat, perfect for a refreshing cup after school or any time of day. 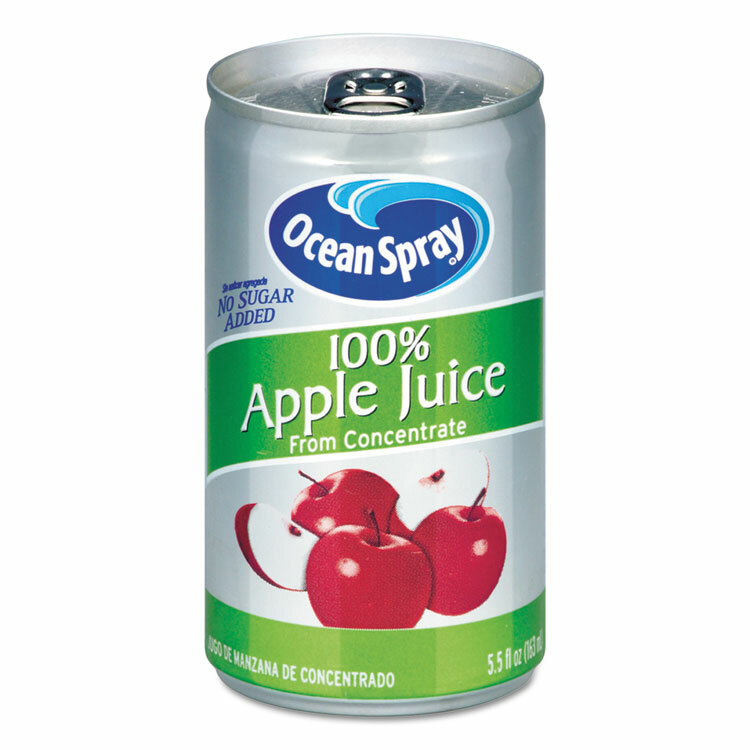 Beverage Type: Juice; Flavor: Apple; Packing Type: Can; Capacity (Volume): 5.5 oz. Choose flavor without having to sacrifice with 100% juice that is 100% tasty. A guilt-free choice with no sugar added. Juices make a flavorful, sweet treat, perfect for a refreshing cup after school or any time of day. Beverage Type: Juice; Flavor: Cranberry Grape; Packing Type: Bottle; Capacity (Volume): 10 oz. Choose flavor without having to sacrifice with 100% juice that is 100% tasty. A guilt-free choice with no sugar added. Juices make a flavorful, sweet treat, perfect for a refreshing cup after school or any time of day. 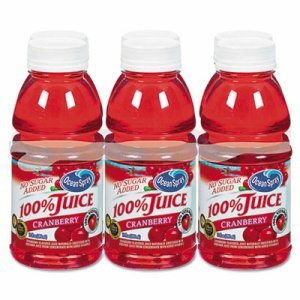 Beverage Type: Juice; Flavor: Cranberry; Packing Type: Bottle; Capacity (Volume): 10 oz. Quench your thirst at home, at the office or on the go with your favorite juice. Bottle is easy to store in your desk, lunch bag, business case or backpack, as well as in your refrigerator. A great source of vitamin C. Stock up for refreshing taste at any time of the day or night. 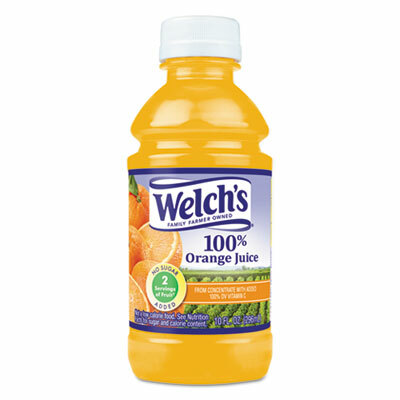 Beverage Type: Juice; Flavor: Orange; Packing Type: Bottle; Capacity (Volume): 10 oz. Choose flavor without having to sacrifice with 100% juice that is 100% tasty. A guilt-free choice with no sugar added. Juices make a flavorful, sweet treat, perfect for a refreshing cup after school or any time of day. 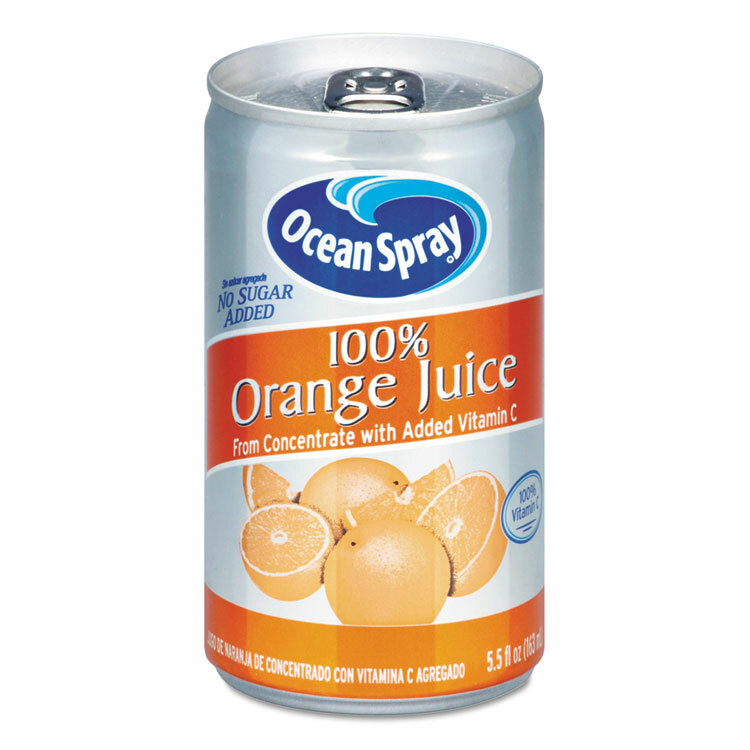 Beverage Type: Juice; Flavor: Orange; Packing Type: Can; Capacity (Volume): 5.5 oz. Choose flavor without having to sacrifice with 100% juice that is 100% tasty. A guilt-free choice with no sugar added. Juices make a flavorful, sweet treat, perfect for a refreshing cup after school or any time of day. 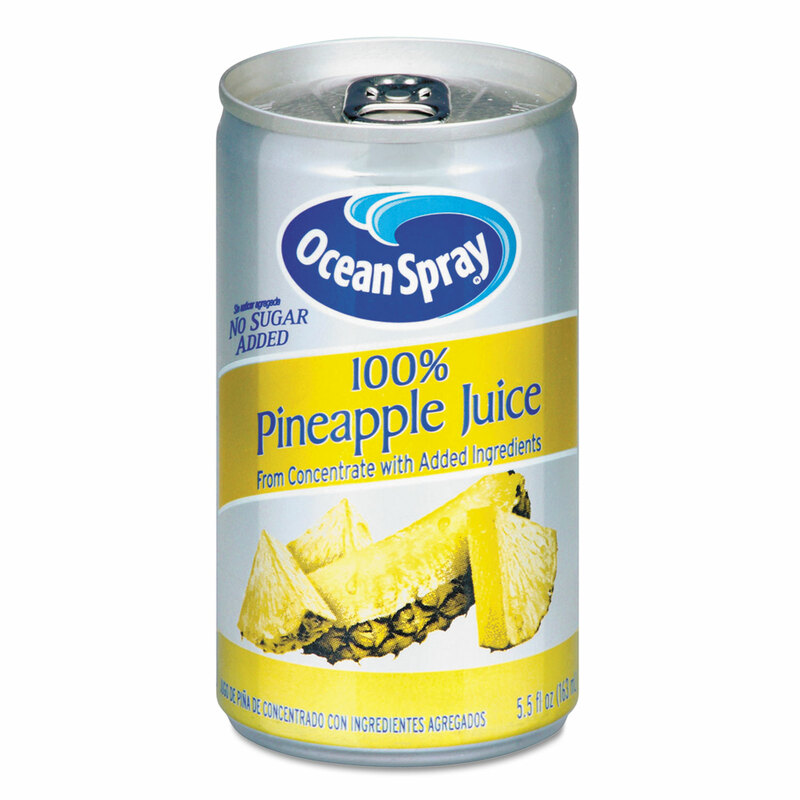 Beverage Type: Juice; Flavor: Pineapple; Packing Type: Can; Capacity (Volume): 5.5 oz. Quench your thirst at home, at the office or on the go with your favorite juice. Bottle is easy to store in your desk, lunch bag, business case or backpack, as well as in your refrigerator. A great source of vitamin C. Stock up for refreshing taste at any time of the day or night. 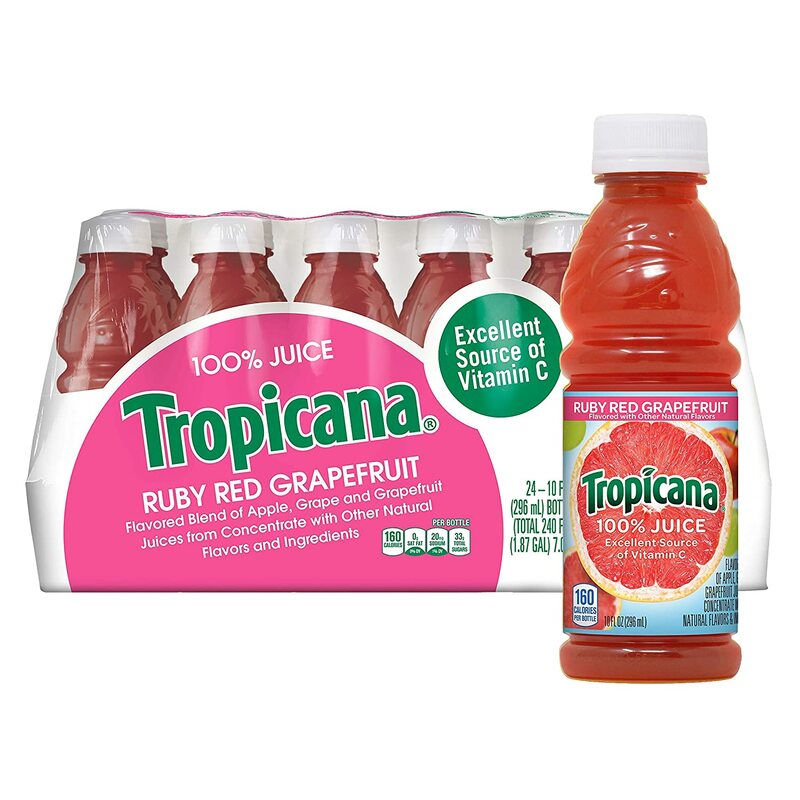 Beverage Type: Juice; Flavor: Ruby Red Grapefruit; Packing Type: Bottle; Capacity (Volume): 10 oz. Choose flavor without having to sacrifice with 100% juice that is 100% tasty. A guilt-free choice with no sugar added. Juices make a flavorful, sweet treat, perfect for a refreshing cup after school or any time of day. 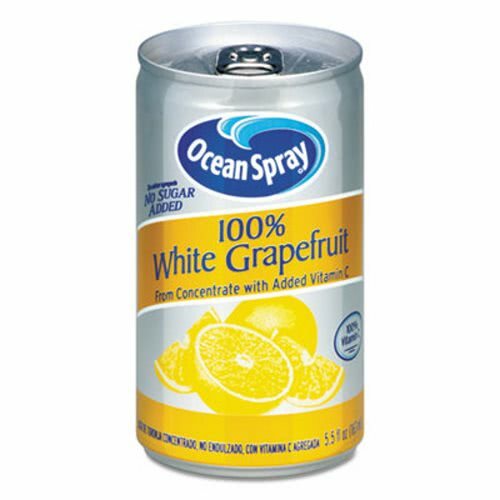 Beverage Type: Juice; Flavor: White Grapefruit; Packing Type: Can; Capacity (Volume): 5.5 oz. A healthy choice to start your day. Contains 100% of the recommended daily allowance of vitamin C. No refrigeration necessary prior to opening. 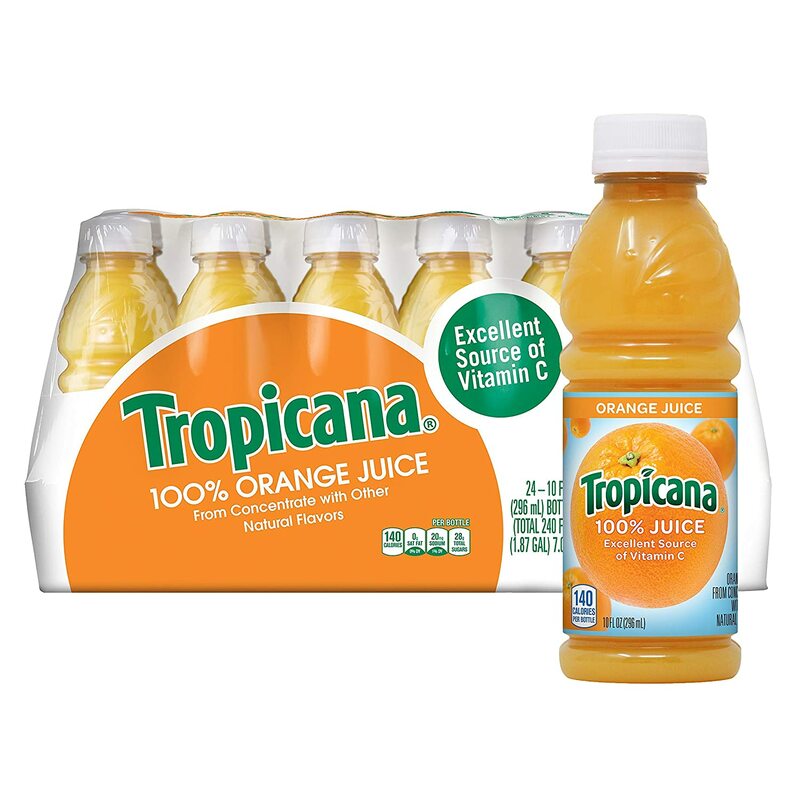 Beverage Type: Fruit Juice; Flavor: Orange; Packing Type: Bottle; Capacity (Weight): 10 oz. 100% pure coffee using premium coffee beans. Roasted to exacting specifications to create a gourmet coffee. 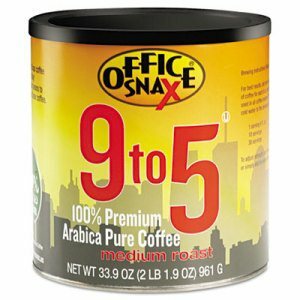 Beverage Type: Coffee; Flavor: Breakfast Blend; Packing Type: Packet; Capacity (Weight): 1.5 oz. 100% pure coffee using premium coffee beans. Roasted to exacting specifications to create a gourmet coffee. 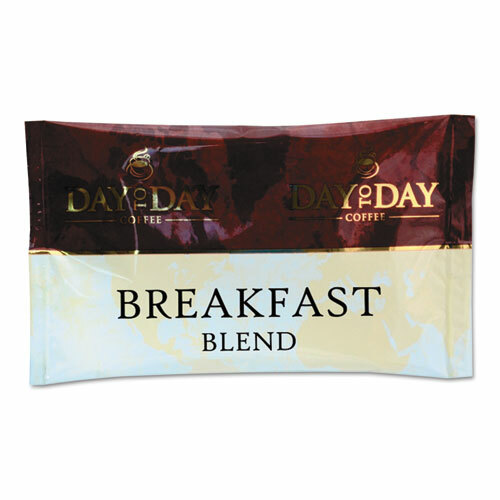 Beverage Type: Coffee; Flavor: Breakfast Blend; Packing Type: Bag; Capacity (Weight): 2 oz. 100% pure coffee using premium coffee beans. Roasted to exacting specifications to create a gourmet coffee. 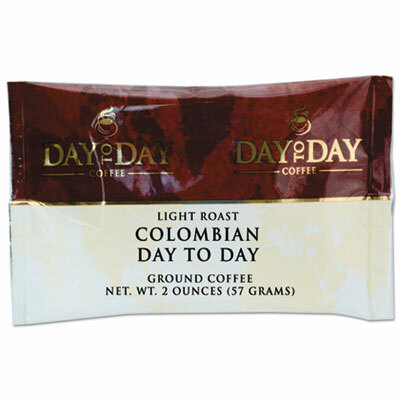 Beverage Type: Coffee; Flavor: Colombian Blend; Packing Type: Packet; Capacity (Weight): 1.5 oz. 100% pure coffee using premium coffee beans. Roasted to exacting specifications to create a gourmet coffee. 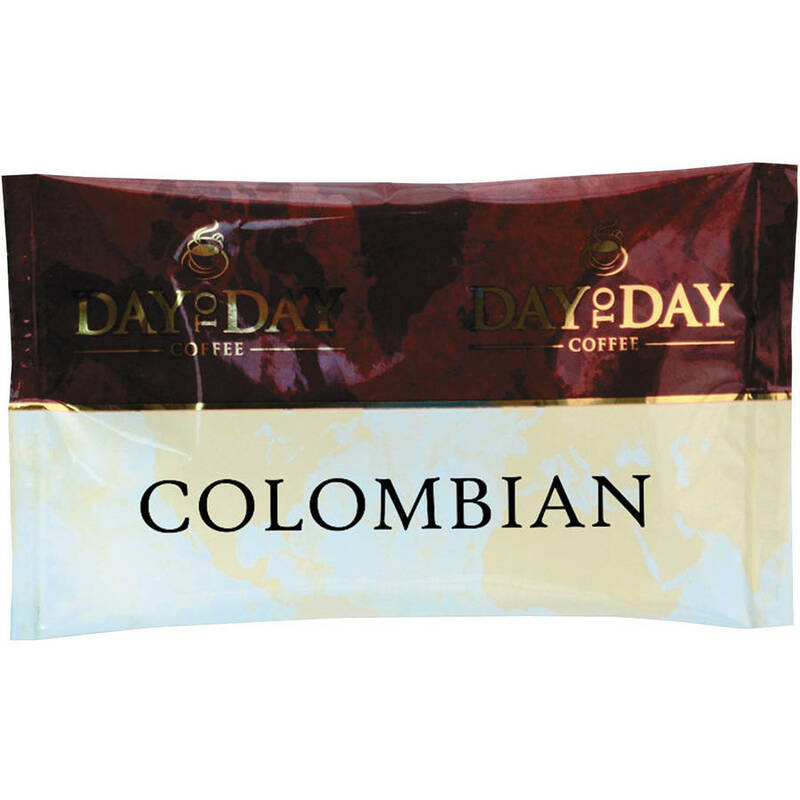 Beverage Type: Coffee; Flavor: Colombian; Packing Type: Bag; Capacity (Weight): 2 oz. 100% pure coffee using premium coffee beans. Roasted to exacting specifications to create a gourmet coffee. 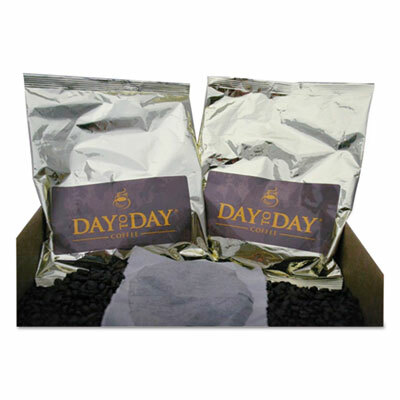 Beverage Type: Coffee; Flavor: Dark Roast; Packing Type: Bag; Capacity (Weight): 1.5 oz. 100% pure coffee using premium coffee beans. Roasted to exacting specifications to create a gourmet coffee. 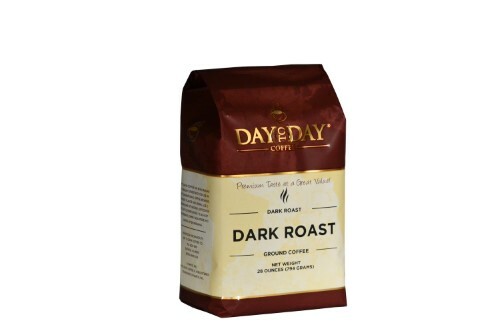 Beverage Type: Coffee; Flavor: Dark Roast; Packing Type: Bag; Capacity (Weight): 28 oz. 100% pure coffee using premium coffee beans. Roasted to exacting specifications to create a gourmet coffee. 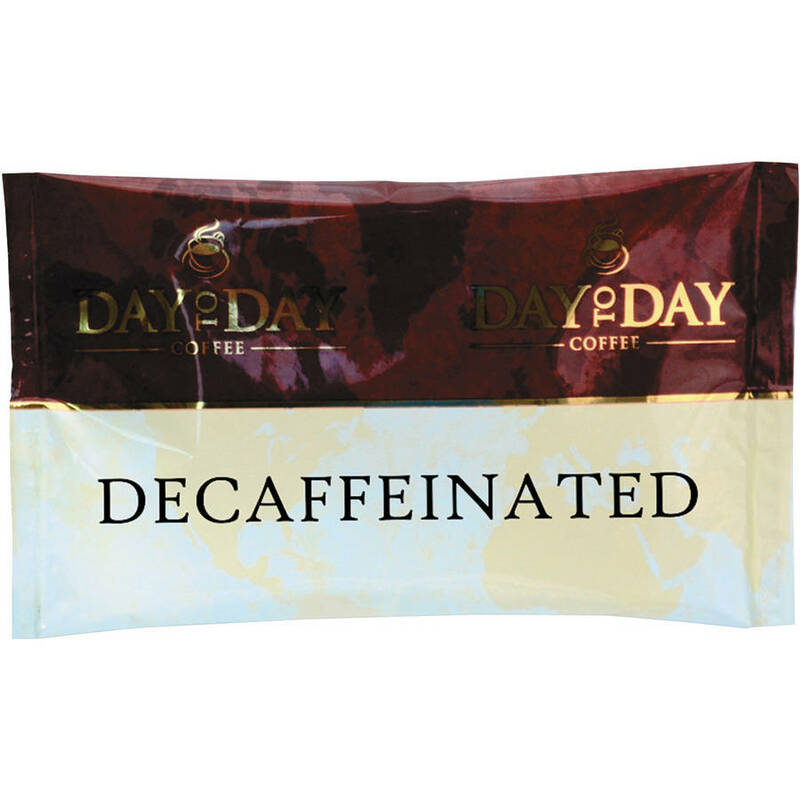 Beverage Type: Coffee; Flavor: Decaffeinated; Packing Type: Packet; Capacity (Weight): 1.5 oz. 100% pure coffee using premium coffee beans. Roasted to exacting specifications to create a gourmet coffee. Beverage Type: Coffee; Flavor: Decaf; Packing Type: Bag; Capacity (Weight): 2 oz. 100% pure coffee using premium coffee beans. Roasted to exacting specifications to create a gourmet coffee. 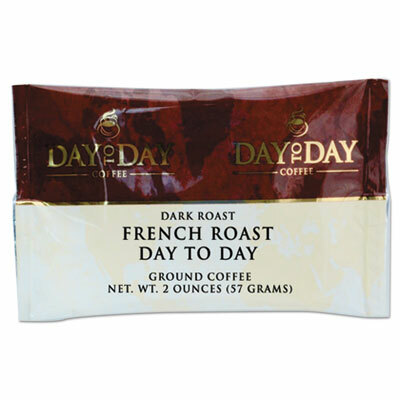 Beverage Type: Coffee; Flavor: French Roast; Packing Type: Bag; Capacity (Weight): 1.5 oz. 100% pure coffee using premium coffee beans. Roasted to exacting specifications to create a gourmet coffee. Beverage Type: Coffee; Flavor: French Roast; Packing Type: Bag; Capacity (Weight): 2 oz. 100% pure coffee using premium coffee beans. Roasted to exacting specifications to create a gourmet coffee. 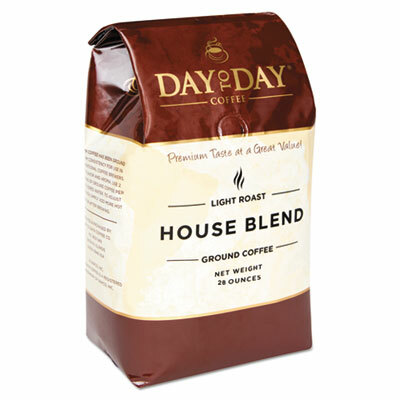 Beverage Type: Coffee; Flavor: House Blend; Packing Type: Bag; Capacity (Weight): 28 oz. 100% pure coffee using premium coffee beans. Roasted to exacting specifications to create a gourmet coffee. 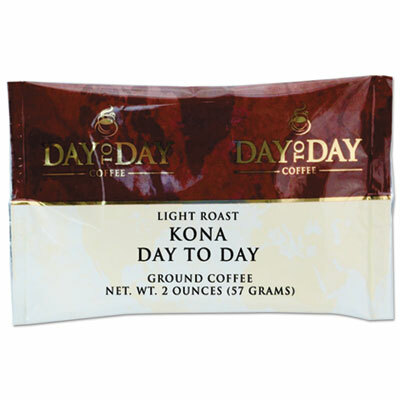 Beverage Type: Coffee; Flavor: Kona Blend; Packing Type: Packet; Capacity (Weight): 1.5 oz. 100% pure coffee using premium coffee beans. Roasted to exacting specifications to create a gourmet coffee. 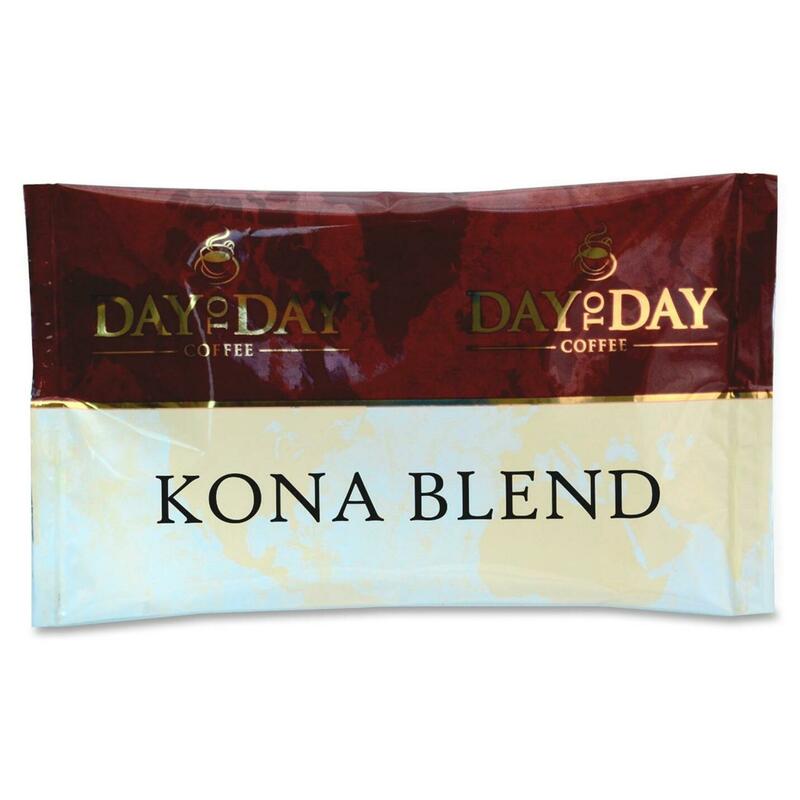 Beverage Type: Coffee; Flavor: Kona Blend; Packing Type: Bag; Capacity (Weight): 2 oz. 100% pure coffee using premium coffee beans. Roasted to exacting specifications to create a gourmet coffee. Beverage Type: Coffee; Flavor: Morning Blend; Packing Type: Bag; Capacity (Weight): 1.5 oz. GLACIER CLEAR PURIFIED DRINKING WATER Purified drinking water Reach for Refreshment - Glacier Clear Purified by reverse osmosis Available in 1/2 liter & 1 gallon containers 310109 1G DRINKING WATER SIZE:1 Gal. GLACIER CLEAR PURIFIED DRINKING WATER Purified drinking water Reach for Refreshment - Glacier Clear Purified by reverse osmosis Available in 1/2 liter & 1 gallon containers 420031421 16.9Oz(.5L) WATER SIZE:16.9 Oz.